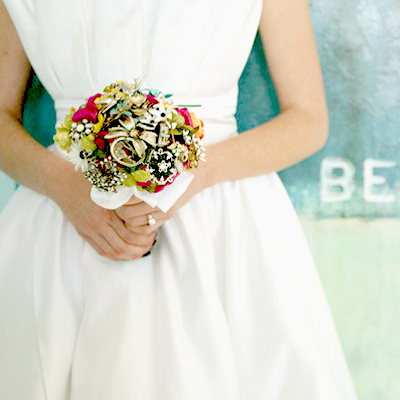 I love to come across nontraditional twists in fashion, art, television and especially weddings! 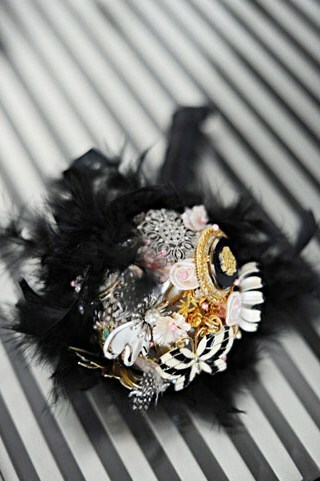 I feel certain that the brooch bouquet trend is no secret to you, but if it is allow me to introduce you. 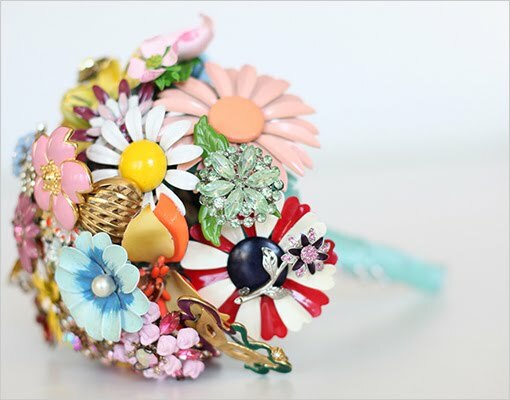 Lovely readers, meet the versatile (and sparkly) twist on the traditional floral bouquet. 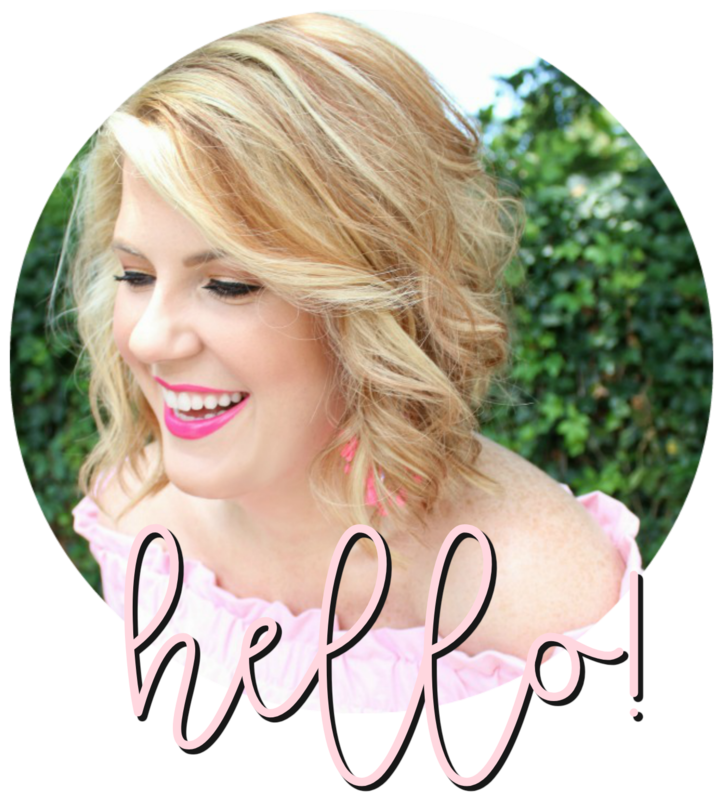 I'm not sure that I would ever stray from the traditional bouquet, but I love looking at and dreaming about these fanciful alternatives. . .
Wishing you a wonderful Tuesday, especially those of you (like me) whose long weekend came to a close yesterday. Wasn't that extra day off fantastic? Such a great idea I think. Wedding bouquets cost so much and rarely last 24 hours.This would be a great keepsake. What a creative idea. Plus you can keep your bouquet forever this way. Beautiful! 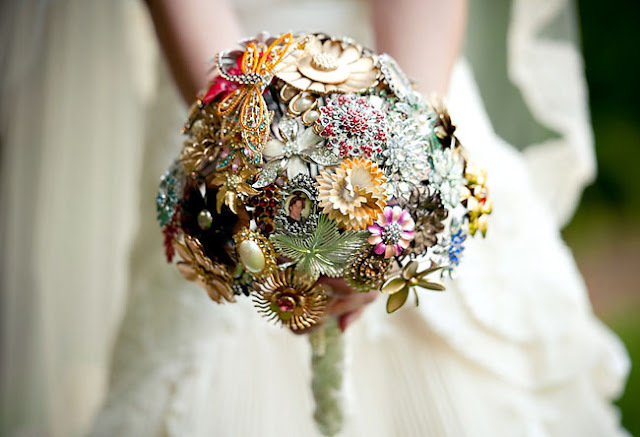 I think its a great idea, especially if the brooches have a special meaning! LOVE LOVE LOVE the black and white one and the one with the Tiffany blue ribbon and hummingbird! What a clever idea! 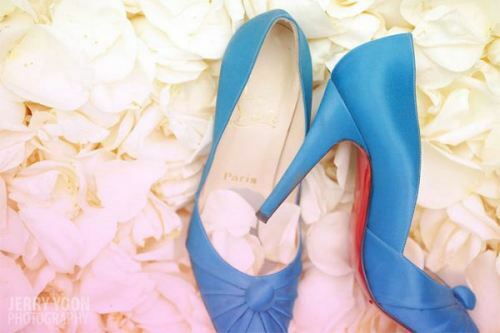 Very charming! I so love the first pic, so cute! Have a great Tuesday! Hope you got to sneak that nap in yesterday, Julie! 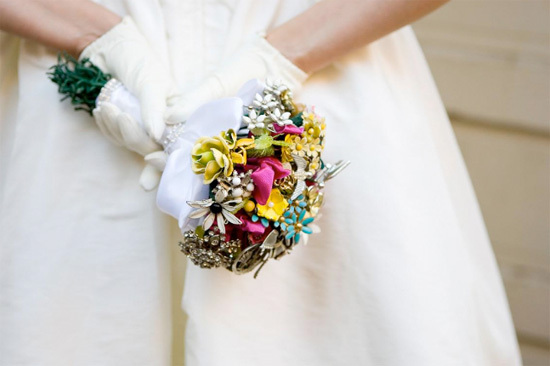 These bouquets are so cute and retro-looking! 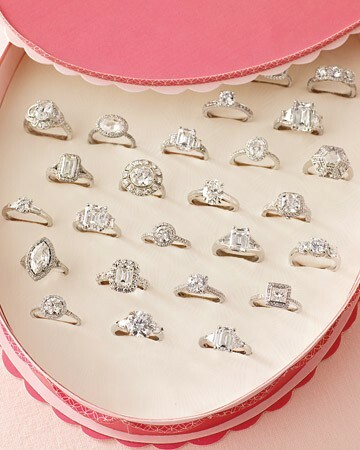 And that last pictures ... hmm, which ring would I choose??? 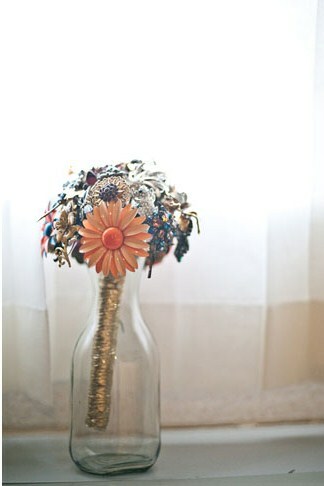 Oh I like this idea, I want to make one as a center piece now. 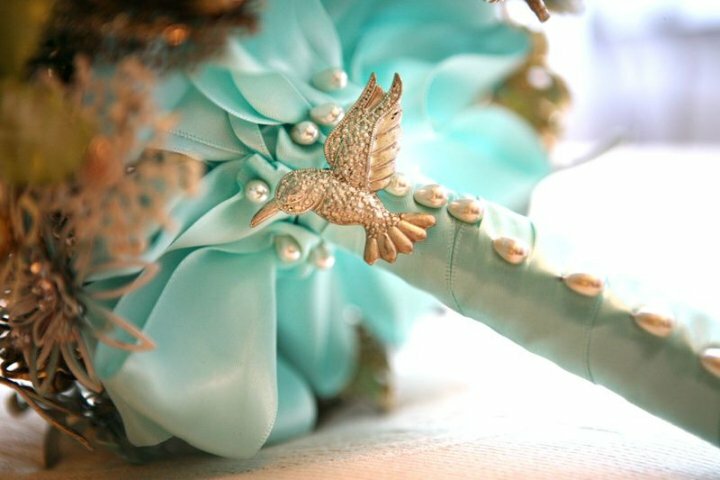 Love these bouquets. Definitely something to think about as I plan my wedding! OOOOH! to have all those choices just sitting right there in front of you...! Love it! So creative and chic. Not to mention "green"! You always find the best things!!! Hope you are easing back into the week! ahhh so gorgeous!!! my co-worker is actually collecting broches & making her own bouquet and i've been so jealous of all her jems! will have to pass along these lovely images julie! Oooh, love the brooch bouquets! They're so eye-grabbing and cool. 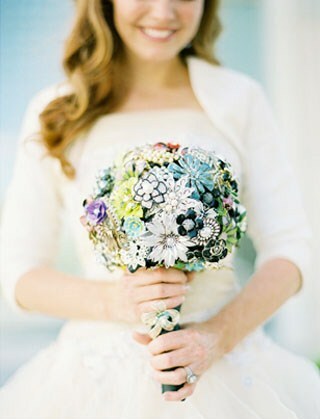 I don't know that I could ever stray from a traditional floral bouquet, either, but it's fun to dream!